Looking for a high-tech effect? 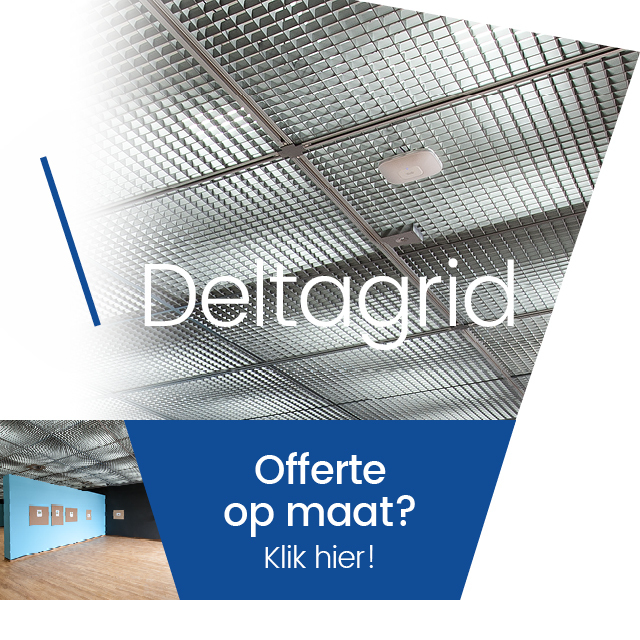 In that case Deltagrid, with its delta-shaped blades, is your best option! The standard system uses wishbone springs together with main channels made out of 1mm black coloured steel. To take maximum advantage of Deltagrids visual effect, try playing around with light sources pointed on, or directed from behind the system. "The ability to play with lighting makes them a fun and functional way for clients to express themselves and inspire their spaces." "Open cells offer classic, stylish linear and grid designs that make an artistic statement without being too busy." Are you interested in working with us? Contact us now!